The high-speed transit tube. It’s been a staple of science fiction for many years. Remember the tubes cars in Logan’s Run, the elevators in the Jetsons, or the tubes that shoot people around New New York in Futurama? Much like flying cars, they are a feature of a futuristic society that people have been waiting on. And thanks to Elon Musk, it might finally be coming true. 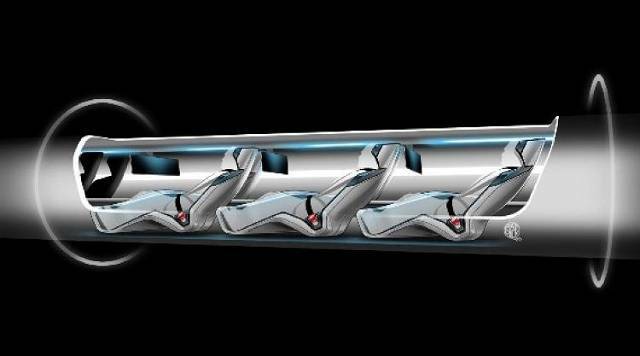 Yes, the same man that brought us the Tesla electric car, PayPal, and SpaceX is now working on a design for a high-speed transit system that works the same way as the pneumatic tube. 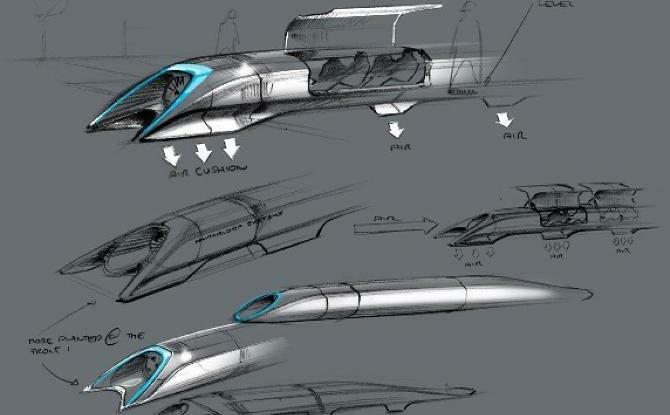 In a series of statements and documents released yesterday, the billionaire entrepreneur unveiled his concept for a tube that could whisk passengers between Los Angeles and San Francisco in just 30 minutes – half the time it takes an airplane. In the newly released documents, Musk outlined the basic design, which would consist of a low-pressure steel tube that houses capsules which move back and forth. The aluminum capsules (or pods) would have skis on the bottom containing holes that pump out air, creating an air cushion. They would be propelled forward with magnets found on the skis as well as an electromagnetic pulse generated by a series of electric motors. Linear electric motors placed at each destination would slow the pods down by absorbing their kinetic energy. That energy would then be put back into battery packs and used to accelerate the next pods, or stored for future use. Solar panels on top of the tubes would also provide energy. The pods, which have room for 28 people each, could leave every 30 seconds – transporting up to 7.4 million people on each route (SF to LA or vice versa). At 1290 kilometers per hour (800 mph) the above ground Hyperloop system would be dramatically faster than a bullet train or even an airplane. Alongside boats, planes, trains and automobiles, Musk claims that the train would constitute a “fifth form” of transportation. And of course, safety would be paramount, with each pod being spaced apart by 8 km (5 miles), and the system would have an emergency brake. Once you’re traveling the speed you wouldn’t notice the speed at all. It would be really smooth, like you’re riding on a cushion of air. Maximum G-force of about half a G, comparable to what you might feel in an airplane but far less than what you would feel in a rollercoaster. Really quiet. 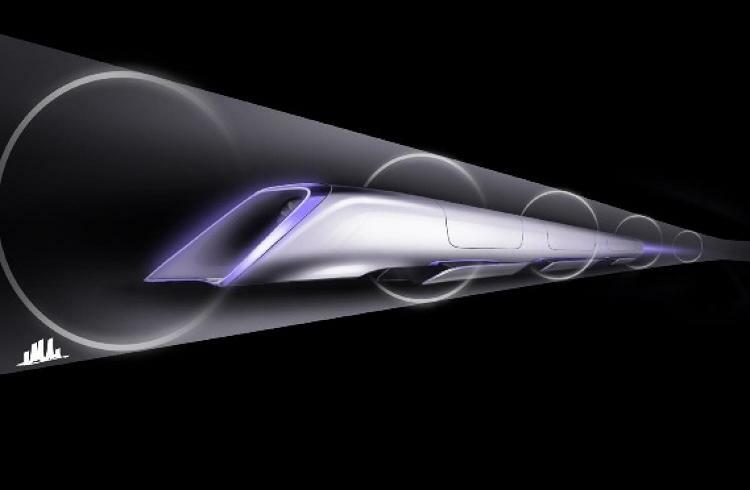 Musk estimates that price tag per ride would be $20 per person, making the Hyperloop more reasonably priced than train, plane, or automobile. The whole project would cost an estimated $6 billion if it contained “people-only pods,” but would be priced at $10 billion if it had pods for both people and cars. As it stands, its not entirely clear when the Hyperloop would be up and running. What’s more, its unclear what tole Musk would play in its creation. Since he is currently occupied with developing things like a nationwide Supercharger network for Tesla and launching satellites with SpaceX, he thinks it could be three to four years before a demo could be finished. As for a full system that would run from LA to San Francisco, that could take between seven to ten. In any event, the concept is open-source, and Musk is calling on inventors, engineers and investors to get involved. Given that it is a rather elegant solution to the problem of transit, such an idea is not likely to remain idle for too long. 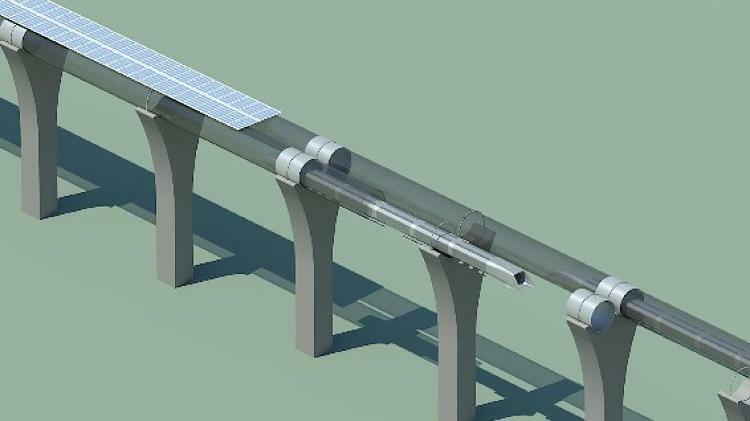 Originally inspired by the sad state of $70 billion California’s high-speed rail initiative, the Hyperloop could easily prove to be another transportation initiative that is never completed. At the same time, it might prove to be a “leapfrog maneuver”, bypassing lightrail completely and ushering in something better. It might sound like a fantasy, but Musk has a reputation for making the impossible a reality. What’s more, engineers from both Tesla and SpaceX have been working on the concept for close to a year and some are now dedicated to it full-time. And given that nations like China, India, Russia and the EU are in need of expanded transit systems, don’t be surprised if we see something similar emerging overseas. What I don’t understand is how they want to avoid air resistance. 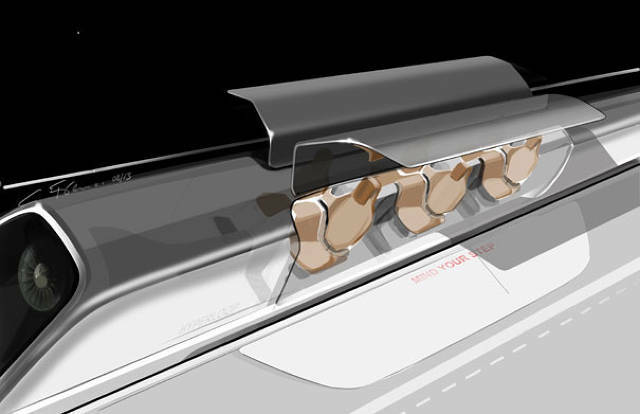 In their explanation [http://www.teslamotors.com/sites/default/files/blog_images/hyperloop-alpha.pdf], which, admittedly, I fail to comprehend with my limited knowledge of technology, they say that they neither want a vaccuum before nor higher air pressure behind the pods. And another question I have: at ground level, isn’t their proposed speed more than the speed of sound?